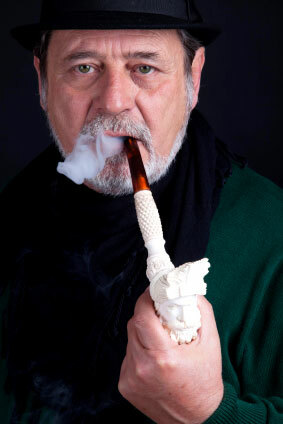 Meerschaum provides a cool and dry smoking experience because of the properties of Sepiolite, known as Meerschaum (sea froth), a non-swelling, lightweight, porous clay. Unlike other clays, the individual particles of Sepiolite have a needle-like morphology. It doesn’t burn, so if the pipe is clean it provides a clarity of the smoking experience not found with other materials. It has become my first choice, save for occasional smokes in Morta or a Cob. 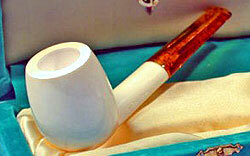 The first Meerschaum I bought was back in ‘69, for the princely sum of $12. I still have it and smoke it. 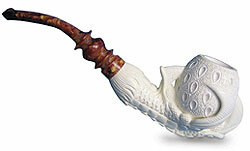 As time went by, I became able to add Meerschaums to my collection, according to the limitations of my budget. Over the years, things have gotten out of control, as I have such poor discipline in these matters and even now, I continue to acquire more of these pipes. It’s a fine madness. By writing this article, it is my hope that some will discover and revel in the passion for these pipes that have become so special to me over the years.